Google is gearing for a version of Android which would be built directly in cars enabling the drivers to enjoy the benefits of the internet without the need of plugging to their smartphones, a version known as Android M, which would probably show up in a years’ time. This would be a big step from Google’s present Android Auto software in its latest version of its smartphone operating system which needs a phone to be plugged into a compatible car with a built in screen to access streaming music, maps, together with other apps. According to Vice President and Automotive Practice Leader of industry research firm Gartner, Thilo, Kowlowski, comments that it provides a strong hold for Google to be part of a vehicle instead of being an add-on, noting, that he was unaware of the latest plans of Google in this regard. Should Google succeed with Android M, it would be the standard system in empowering a car entertainment system, navigations features and also access valuable data collected by the vehicle. This would strengthen Google’s position in a new market with its arch competing rival Apple Inc's CarPlay. With the help of direct integration, it would enable the driver to use Google services each time they turn on the ignition without the need of their phone, thus enabling Google with much better use of the cars sensors, camera as well as internet connection which are available in some new models. According to a source which refrained from being identified and unauthorized to discuss the plans publicly, revealed that Google plans to roll out the next version of its operating systems which is expected in a year or so, though they have not provided any details or time frame for its long term plan of putting Android Auto, dubbed Android M, directly in the cars. 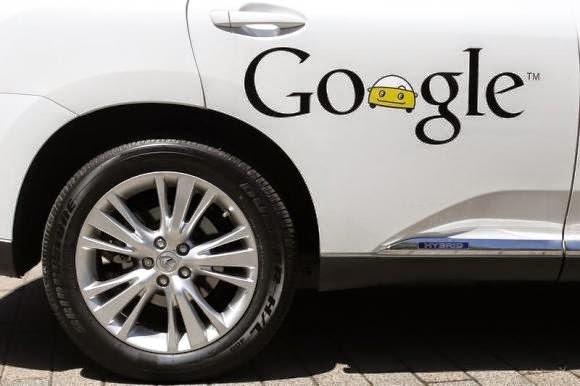 Google plans according to analysts, state that they could face several technical as well as business challenges which would include convincing automakers to integrate their services in their vehicles. Automobiles stand a better attractive prospect taking into account that technology companies are now designing appliances, wristwatch together with other gadgets which can now be connected to the internet. Besides this, according to U.S. Census data, majority of the individuals spend on an average around 50 minutes a day on their commute. With Android being built in cars, Google services would not be at risk of switching off whenever a smartphone battery tends to go off. For instances, with embedded, it is always on and available, and one does not have to depend on the phone being available there or to be `on’, comments a source, referring to the Android Auto, the built-in version. This software could connected to other car components such as a built-in navigation system – Google Maps in order to indicate when the fuel content is low and also provide direction to the nearest available gas station. Besides this on tapping on to the car’s components, Google would also avail important information to feed its data hungry advertising business model according to some sources. The source also informed that Android would need major improvements in performance as well as stability for car maker especially Android Auto which will need power-up instantly whenever the driver starts the car, instead of having to wait for over 30 seconds, as in the case of many smartphones.